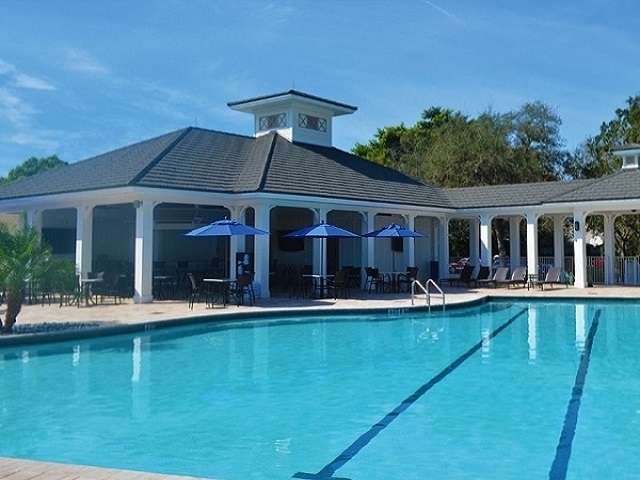 Located at the intersection of Tamiami Trail (US 41) and Collier Boulevard on 300 wooded acres of cypress, pines and palms, Eagle Creek is an award winning private gated community composed of only 460 residences. Here you will find a selection of single-family homes, golf villas and garden condominiums set amid a luxurious and beautiful landscape. All feature spectacular views of the golf course, natural preserves, gardens, lakes or the meandering creek. The single family homes range from 1,822 to 3,800 square feet with two bedrooms plus a den up to four bedrooms plus a den, all with two or three car garages. The villas range from 1,426 to 2,550 square feet with two to four bedrooms and one or two car attached garages. The two and three bedroom condos range from 1,182 to 2,507 square feet with a one car carport. There are also one bedroom 683 square foot condos with no car port. 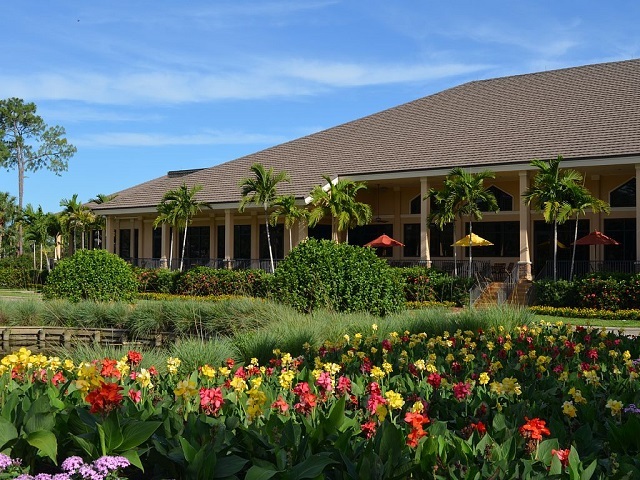 At the center of the community is the member-owned Eagle Creek Golf & Country Club. 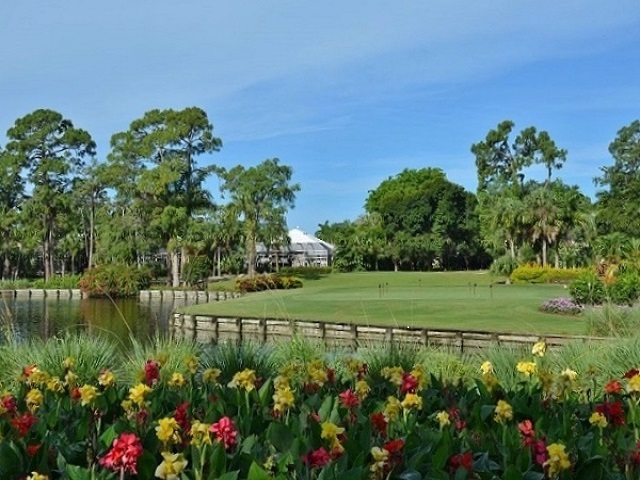 Rated annually amongst Florida´s best, Eagle Creek was designed by noted golf course architect Larry Packard and later updated by Ken Venturi and the CR Sanders Group. 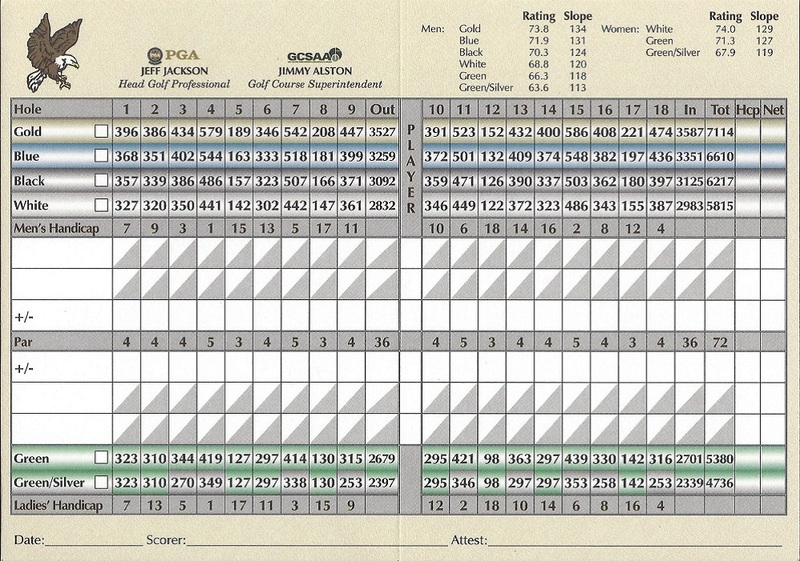 The 6,909 yard championship course winds through cypress and pine forests and with five sets of tees, it is playable for members of all skill levels. 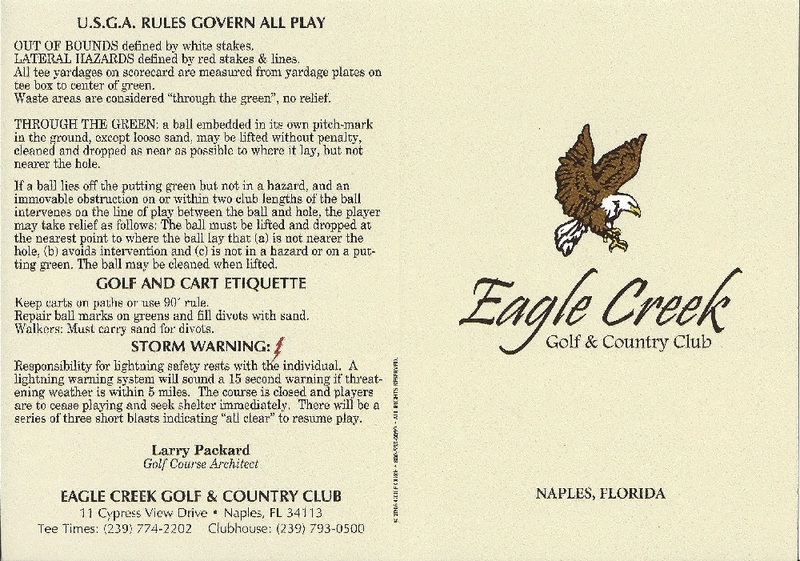 Unlike many clubs, Eagle Creek has only 360 golfing members, which means that the course is never crowded. Overlooking a cypress preserve, putting green, first tee and ninth green is the understated Eagle Creek Club House. Amenities include fine dining, a grill room and lounge where members can enjoy cold refreshments after a round of golf or set of tennis, men´s and women´s locker rooms, saunas, whirlpools, conference room, card rooms, and fully stocked pro shop. The separate tennis facility and fitness center has seven Har-Tru courts, four of which are lit, a tennis pro shop, junior Olympic heated pool, whirlpools spa, saunas, exercise and game rooms, biking and jogging paths and the Crystal Lake Café. Eagle Creek also has an active Bocce Ball Program with Three Har-Tru Bocce courts where members gather for the semi-weekly tournaments. Each Eagle Creek homeowner is required to have either a Golf Equity Membership or Social Equity Membership and a limited number of Non-Resident Memberships are also available. If you are looking for a close knit and friendly golfing community where people know and care about their neighbors, you will definitely want to consider Eagle Creek. 36 listings match your search criteria.